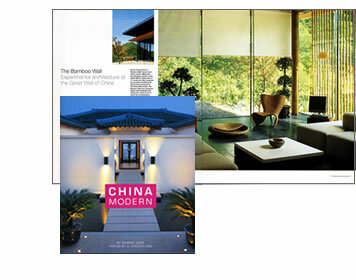 Exploring the most innovative homes and interior spaces in Beijing, Shanghai and Hong Kong, China Modern (Periplus Editions) profiles cutting-edge work by Chinese and China-based architects and designers. Revealing the diversity of contemporary design and the fast-growing creative movement in this rapidly changing country, interiors include a bamboo villa near the Great Wall of China, renovated Qing dynasty courtyard houses, avant-garde artists’ retreats and Bauhaus-inspired country homes. Photography by A. Chester Ong.